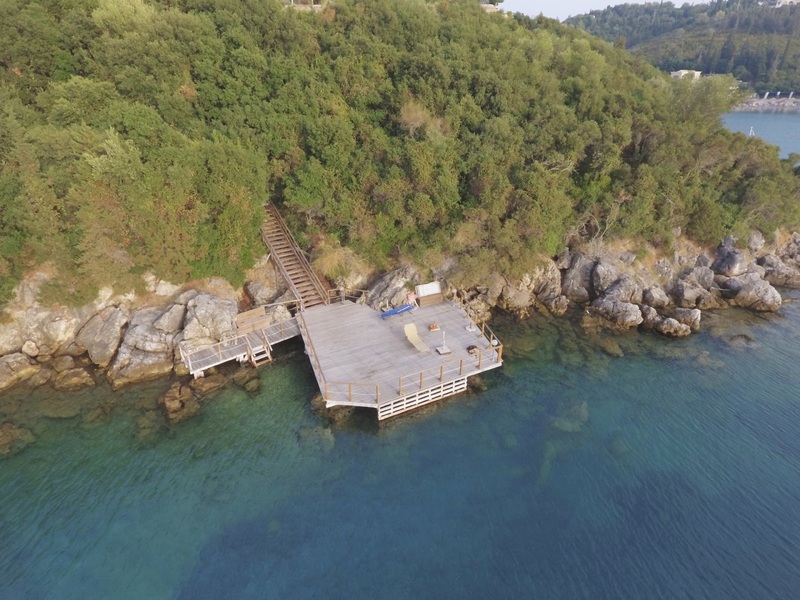 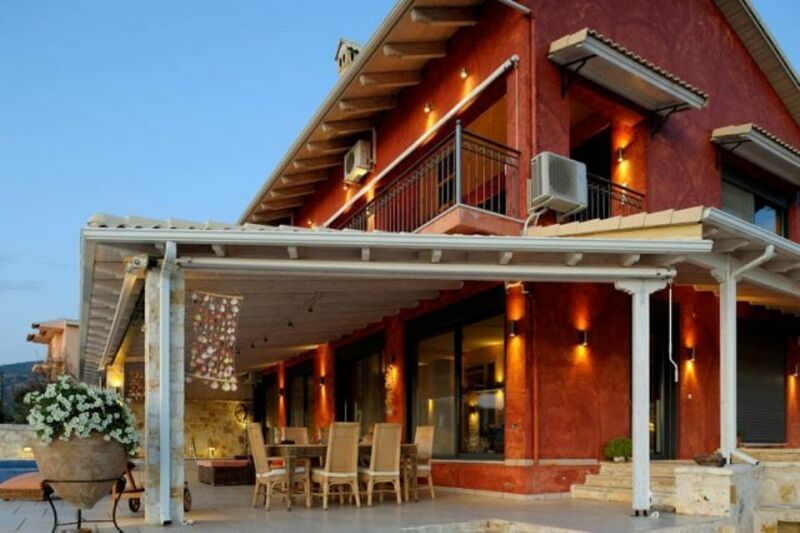 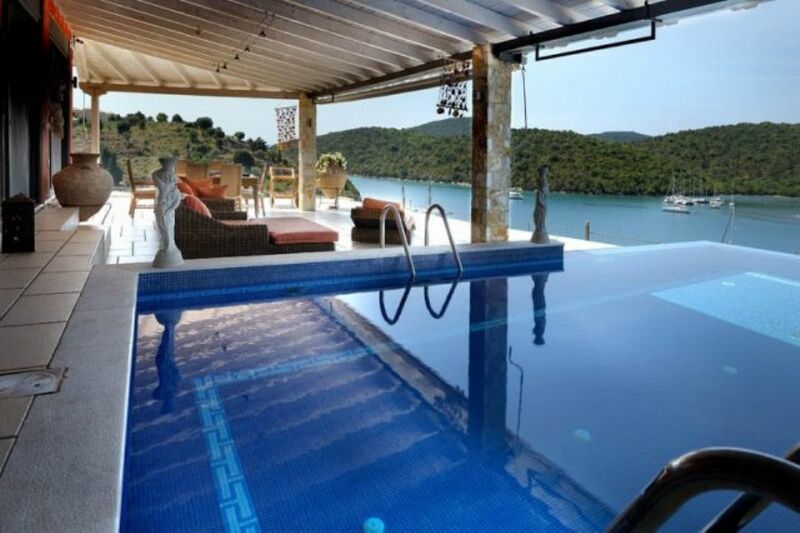 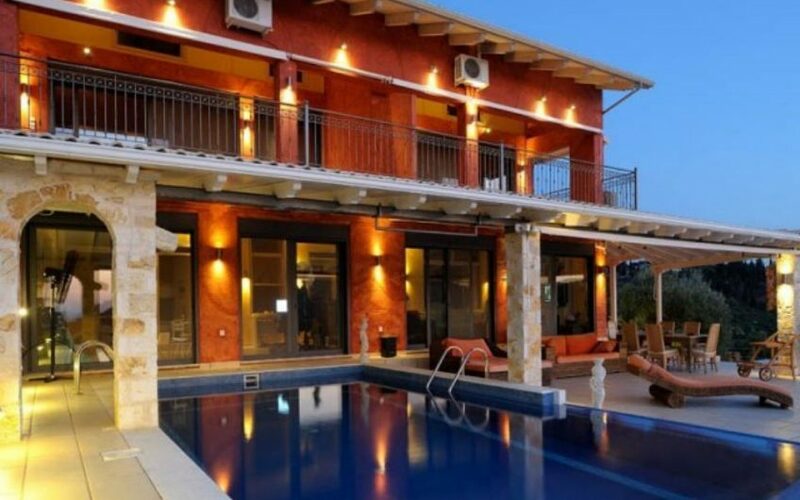 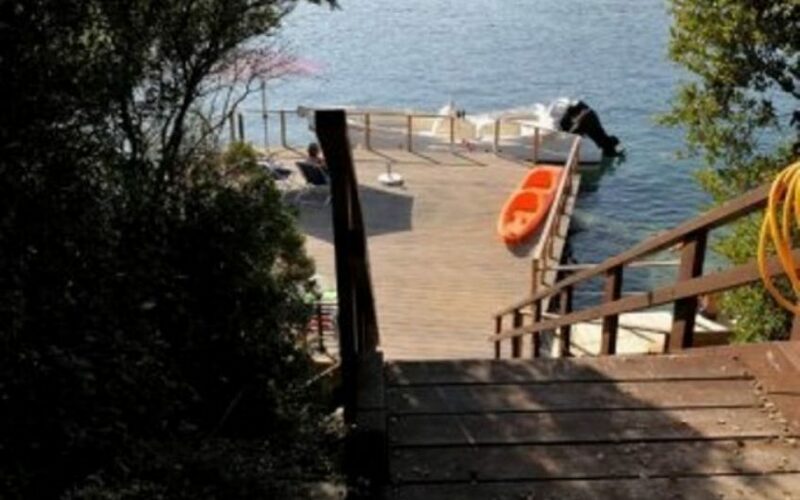 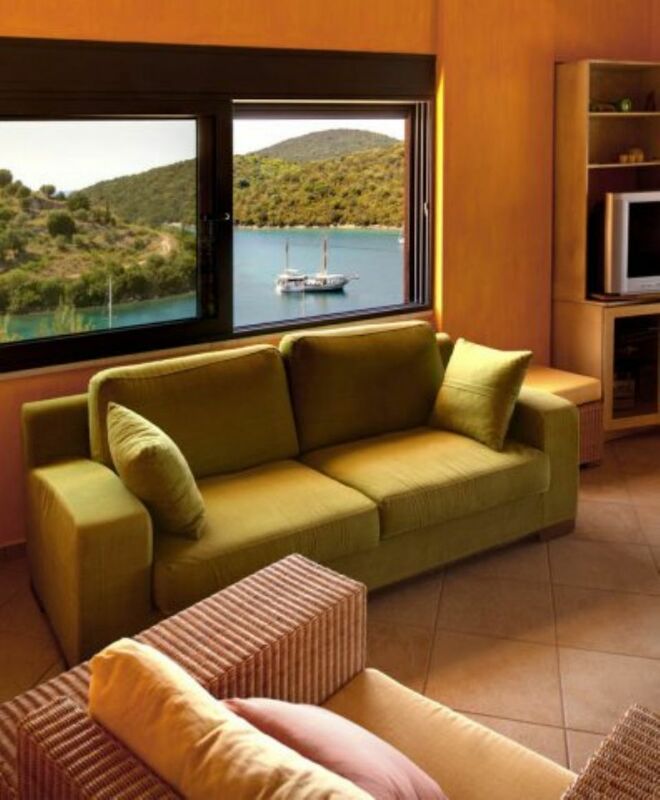 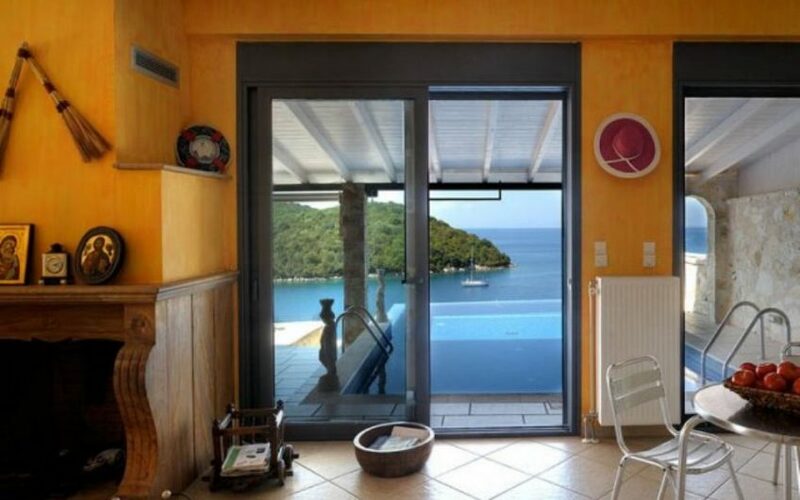 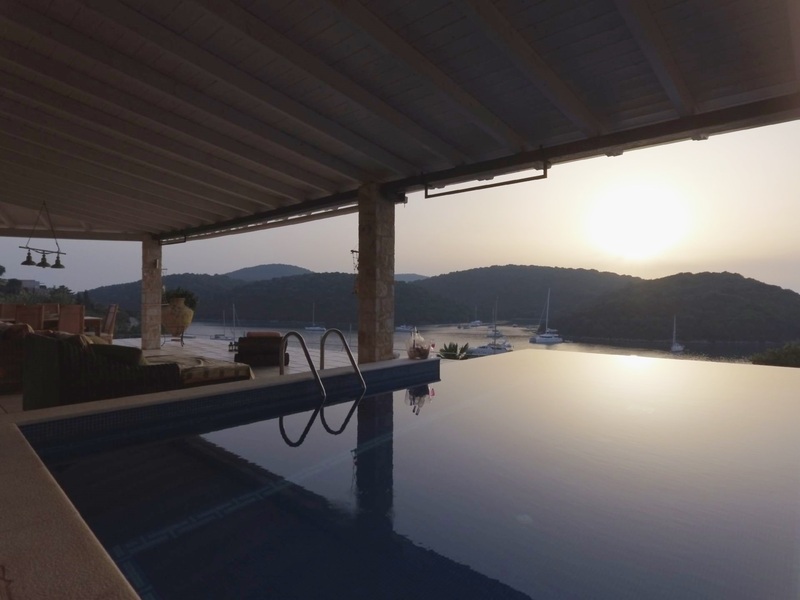 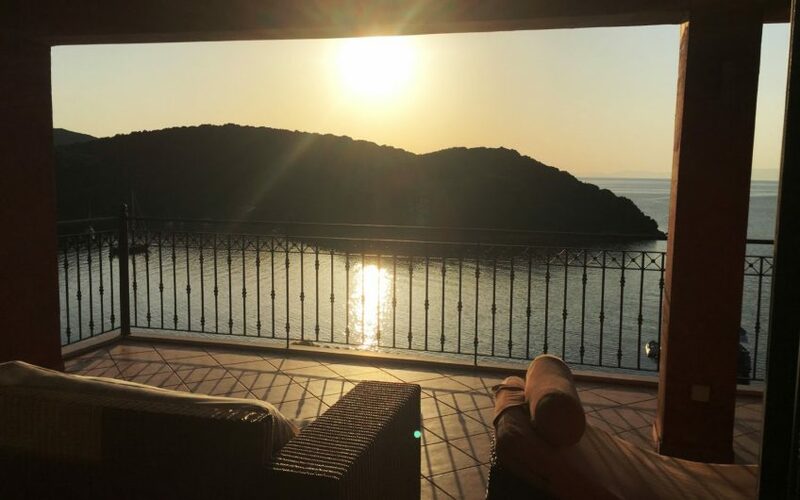 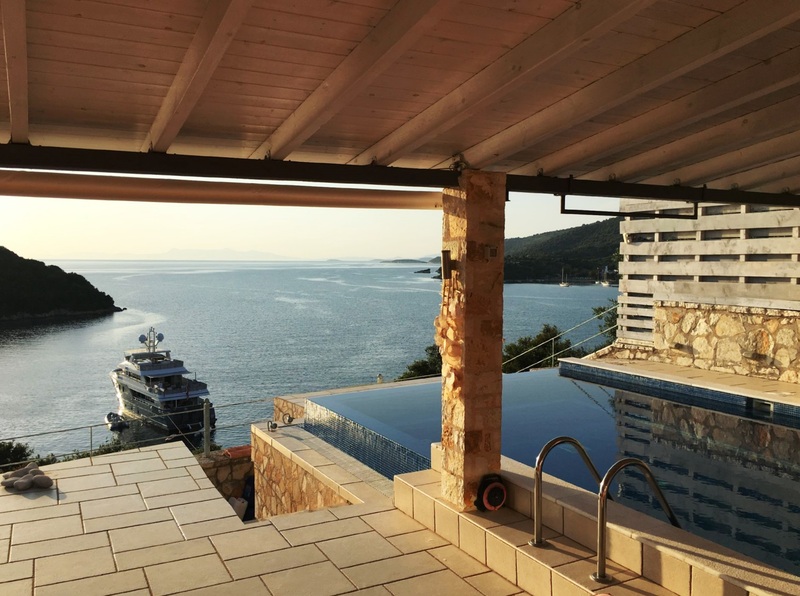 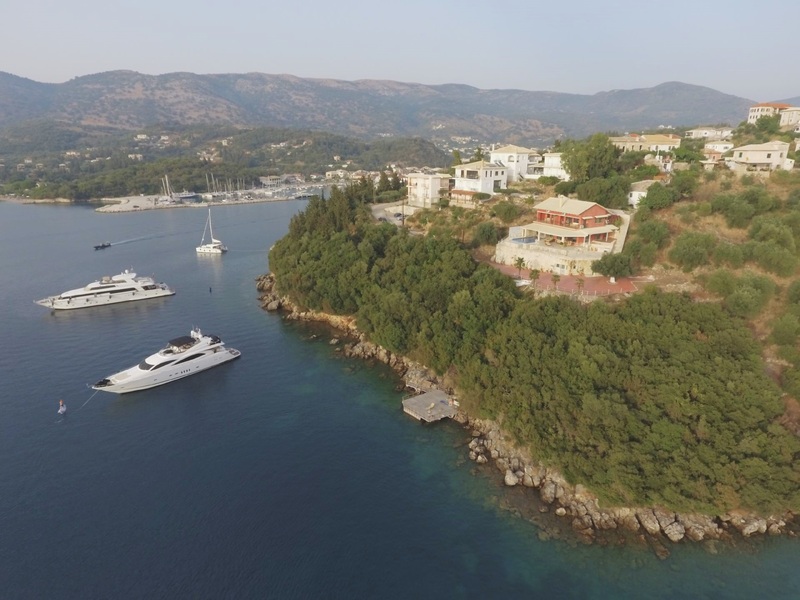 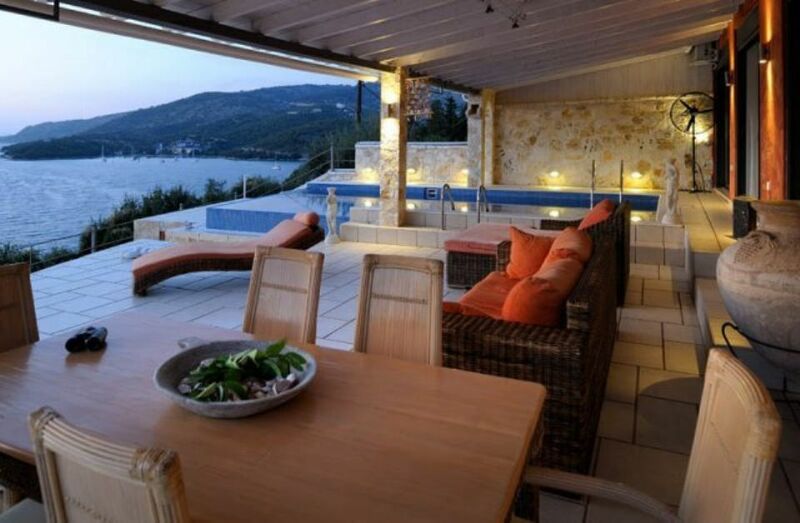 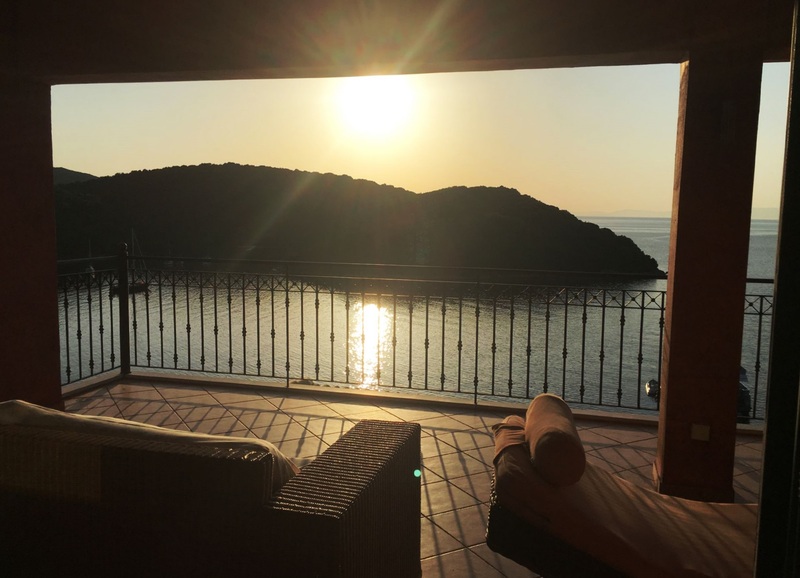 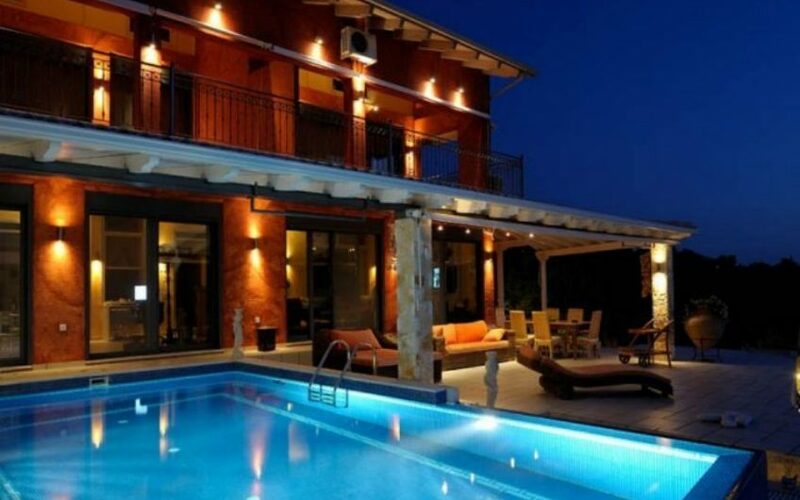 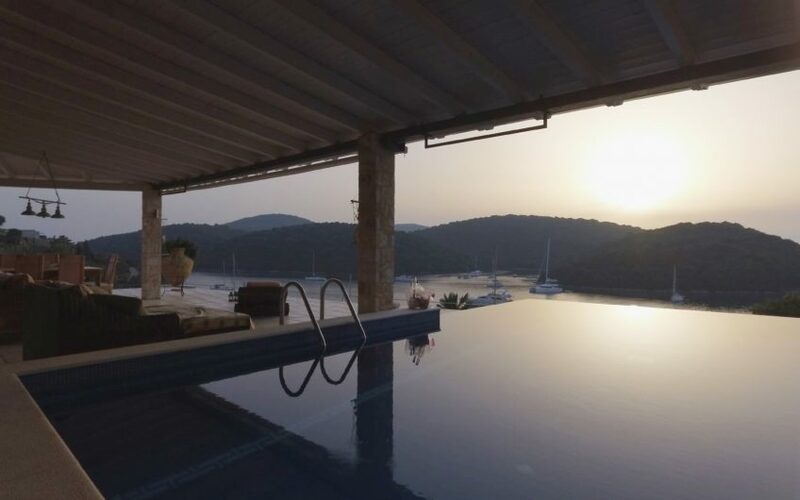 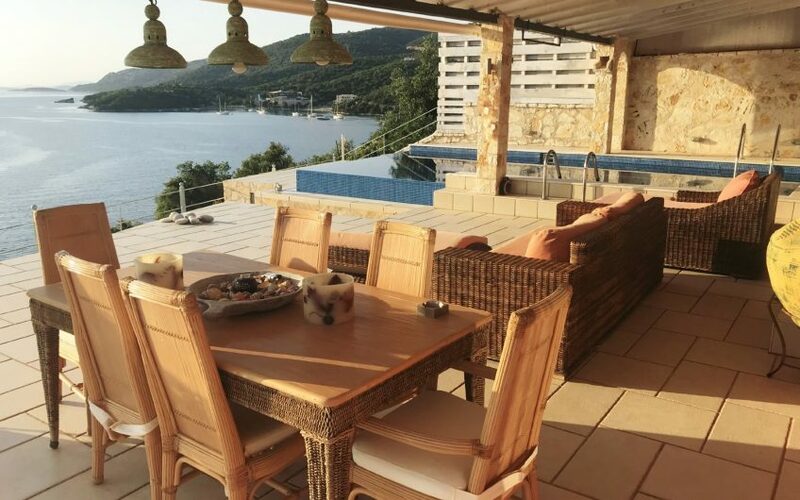 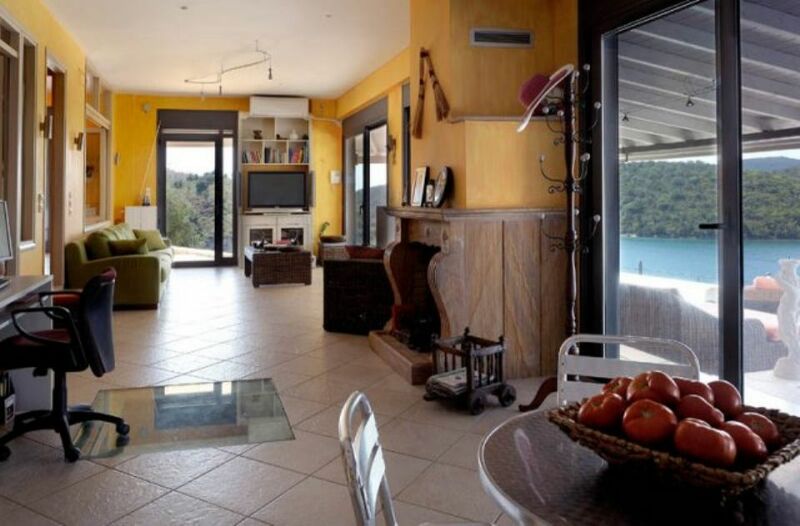 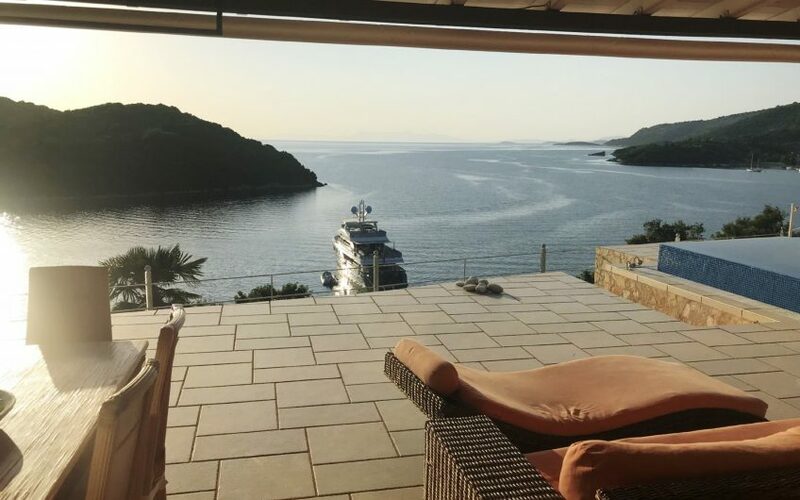 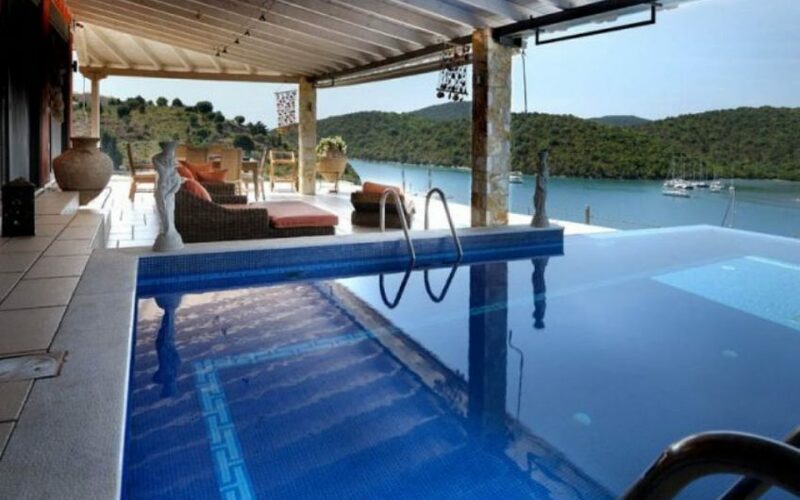 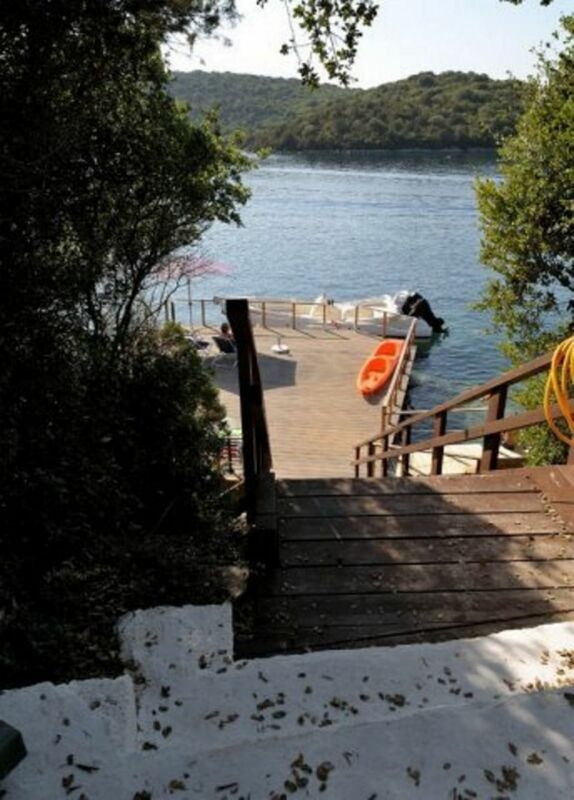 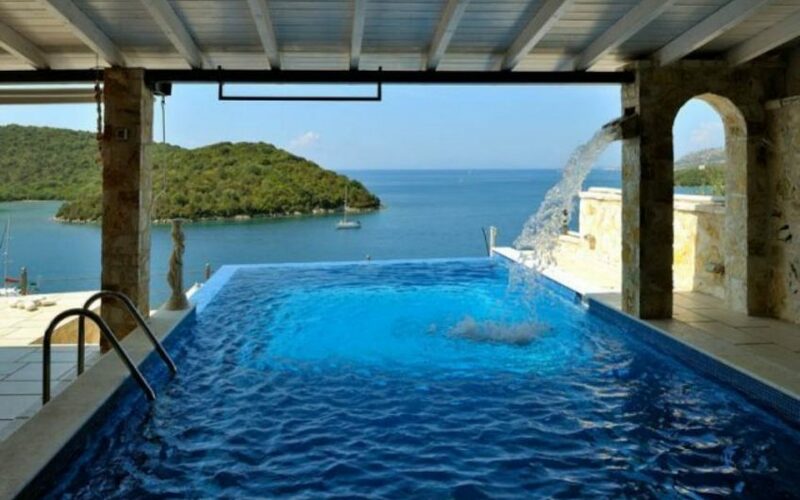 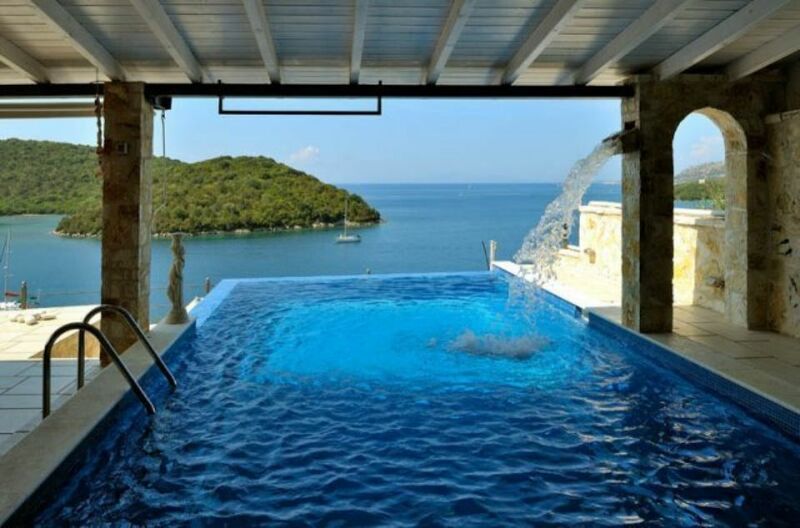 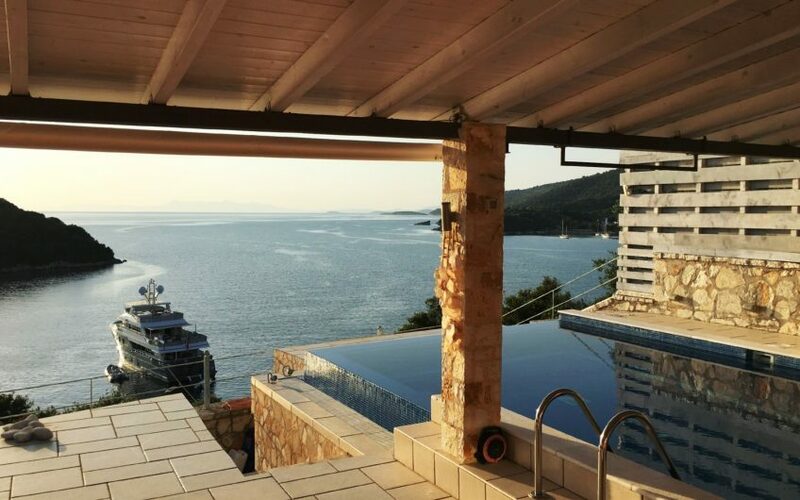 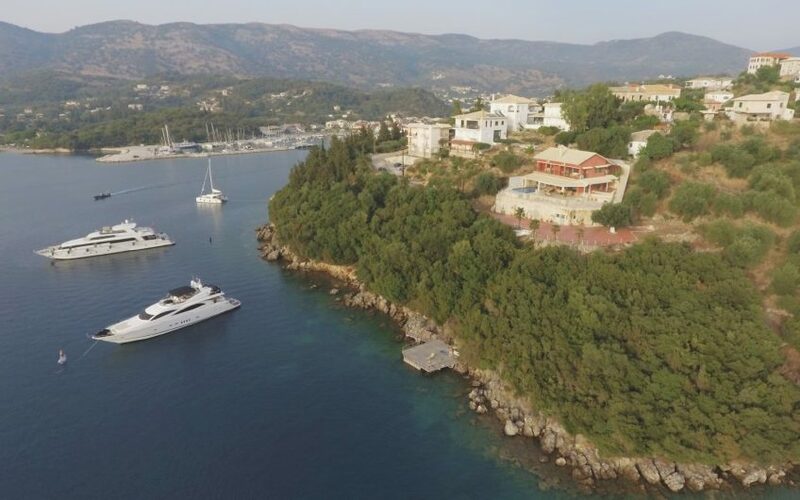 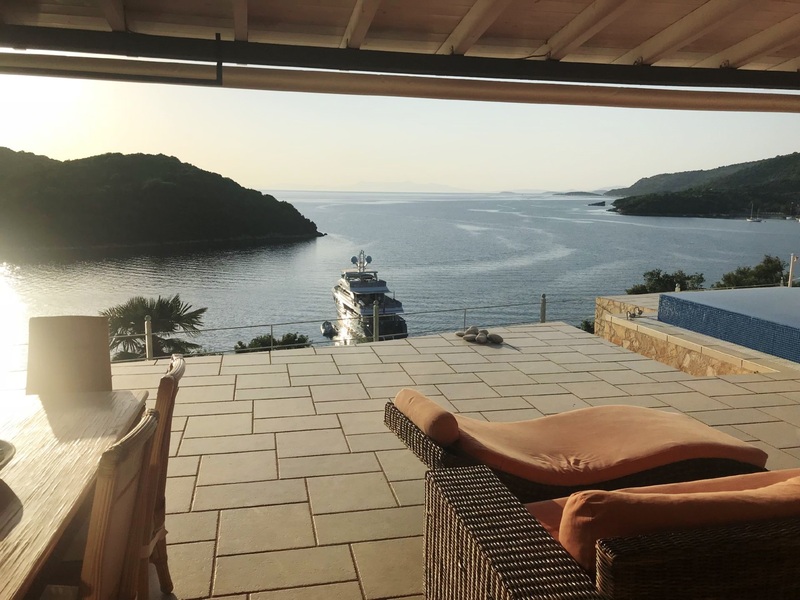 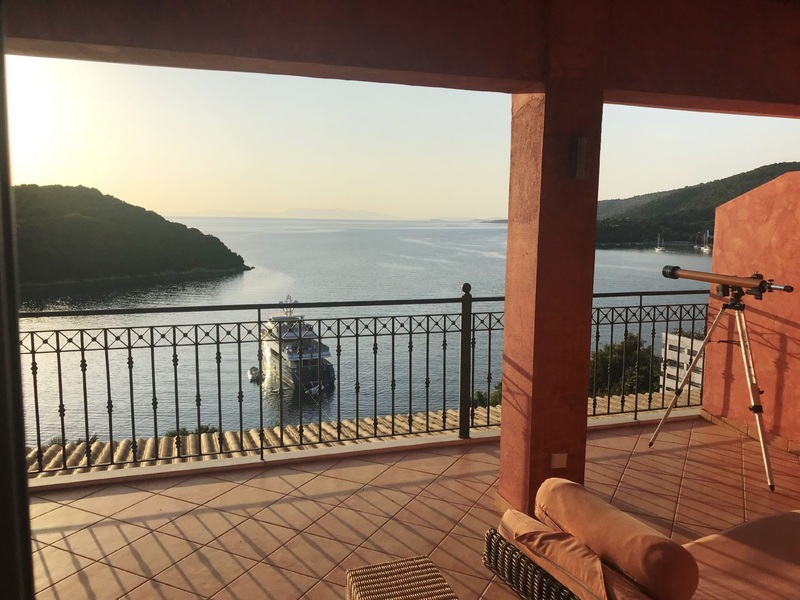 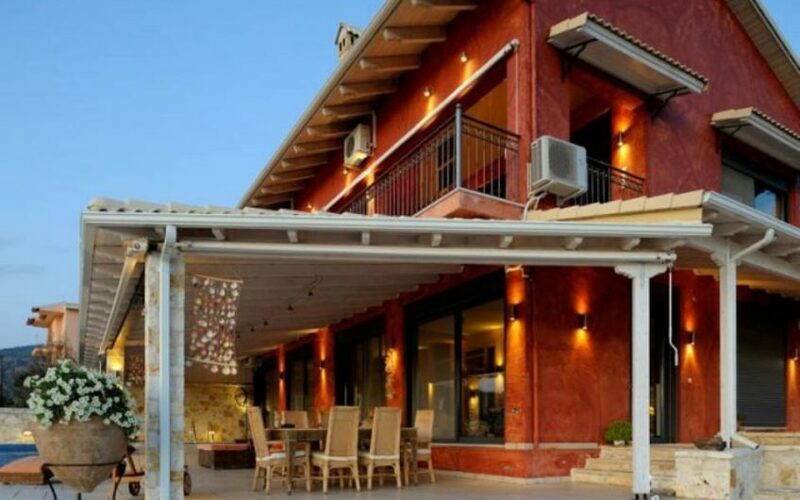 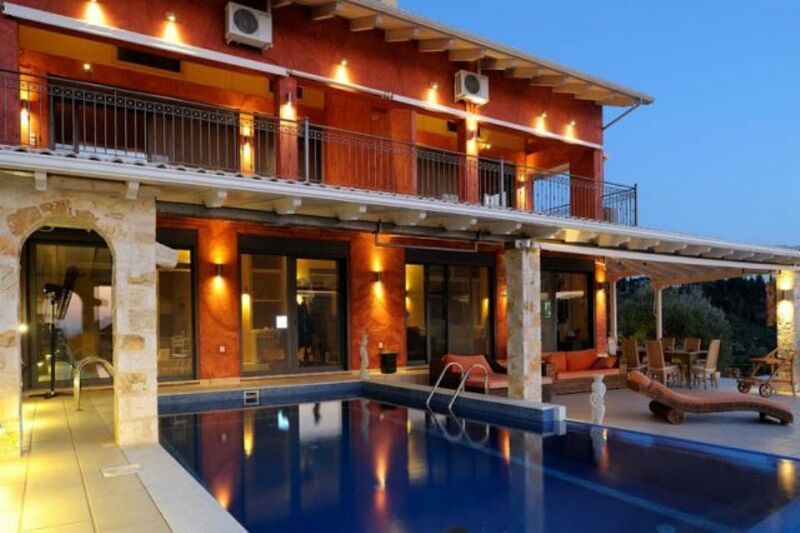 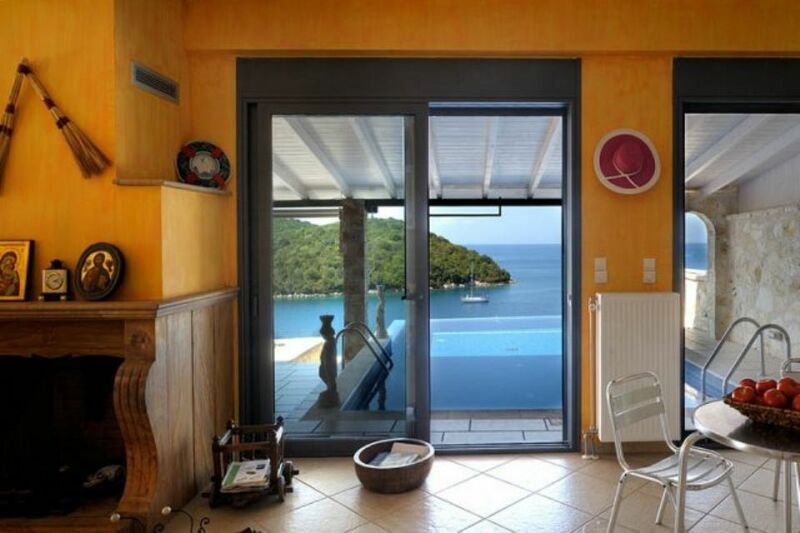 Luxurious villa built at an elevated position by the shoreline with a panoramic views of the Ionian sea. 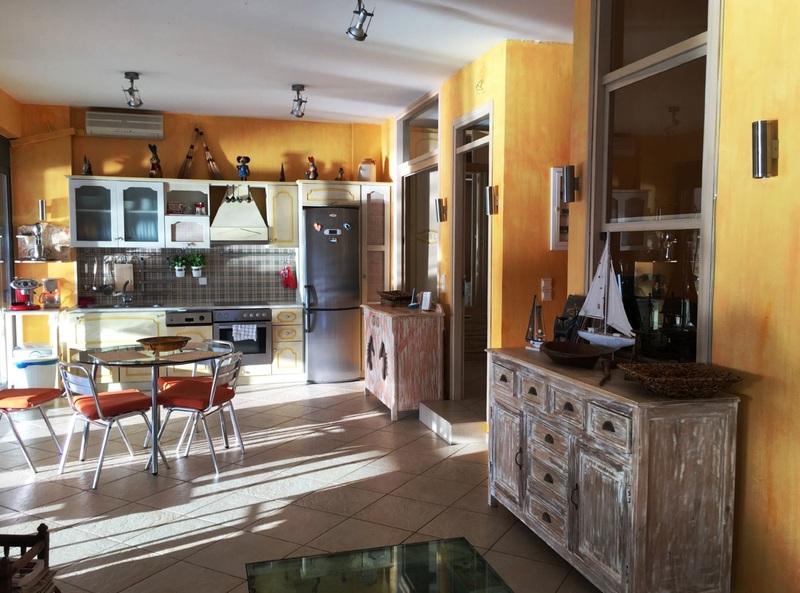 This two-level building is divided in three separate apartments. 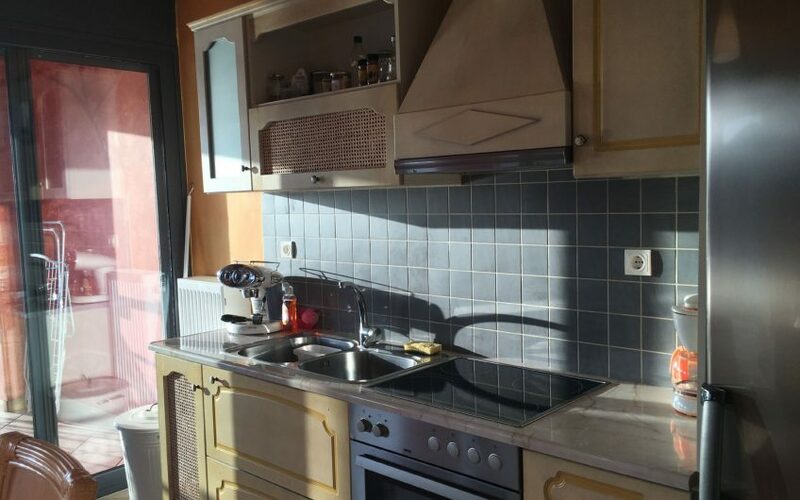 One on the first floor (150 sq.m.) 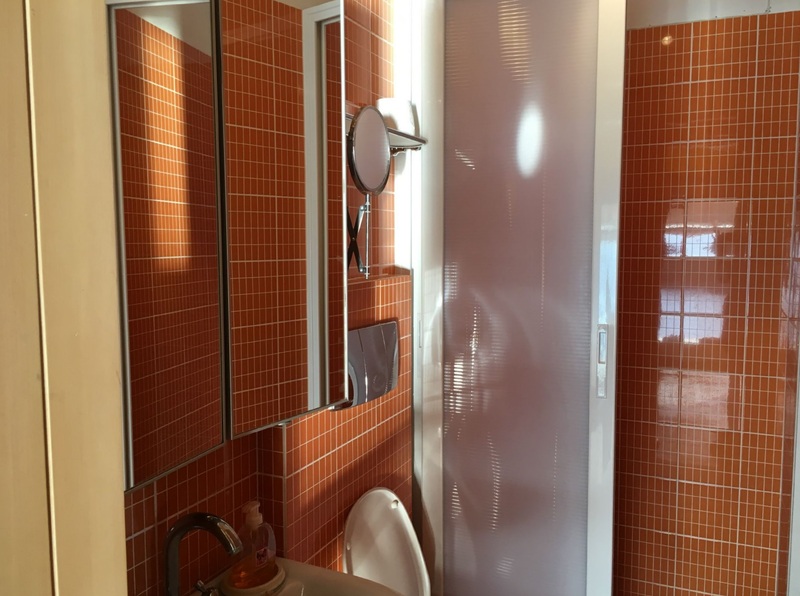 and two smaller ones (75 sq.m. 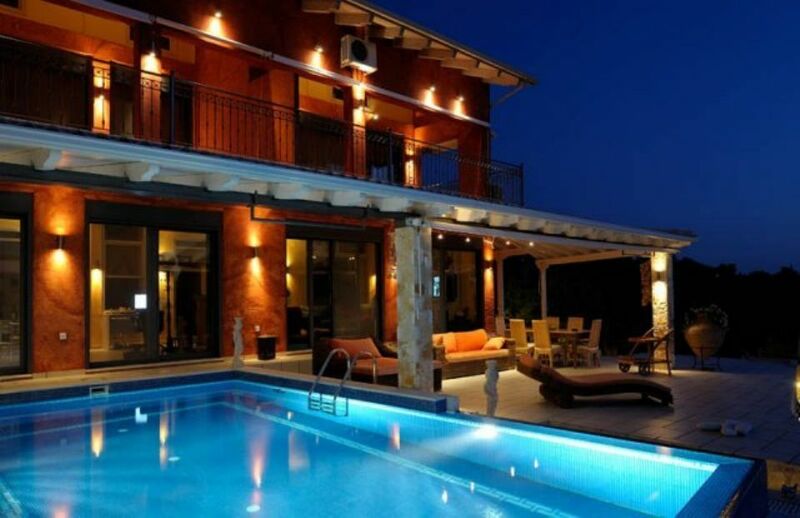 each) on the top floor. 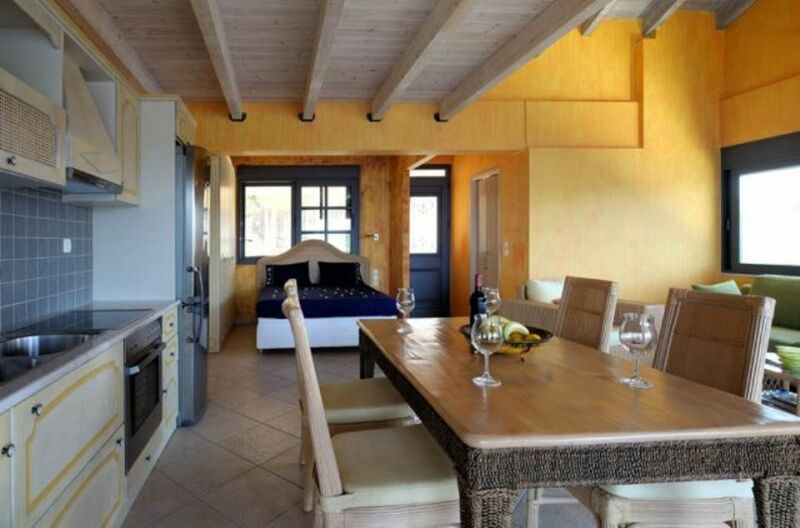 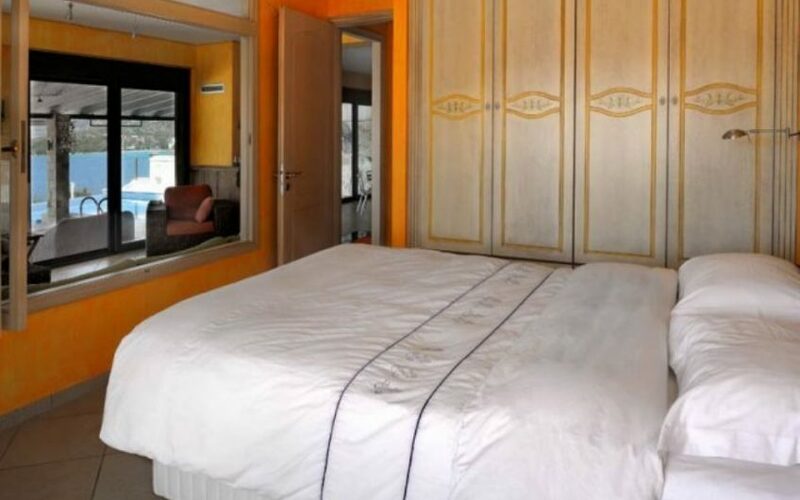 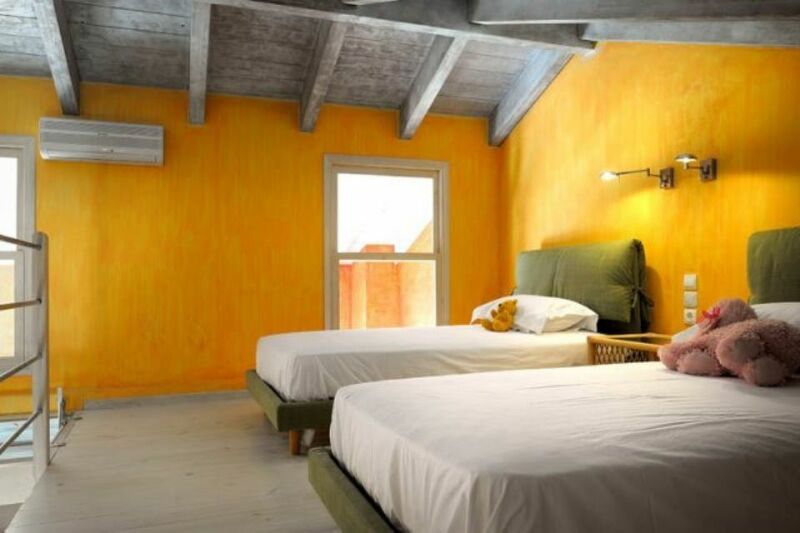 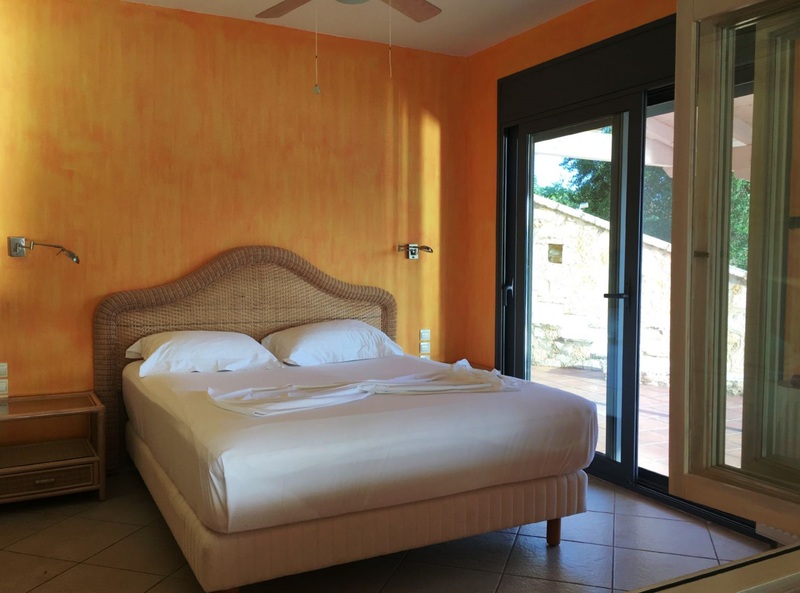 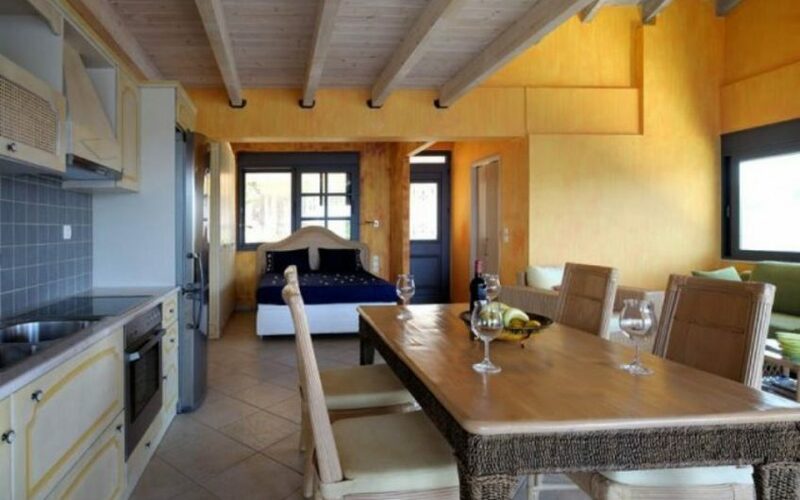 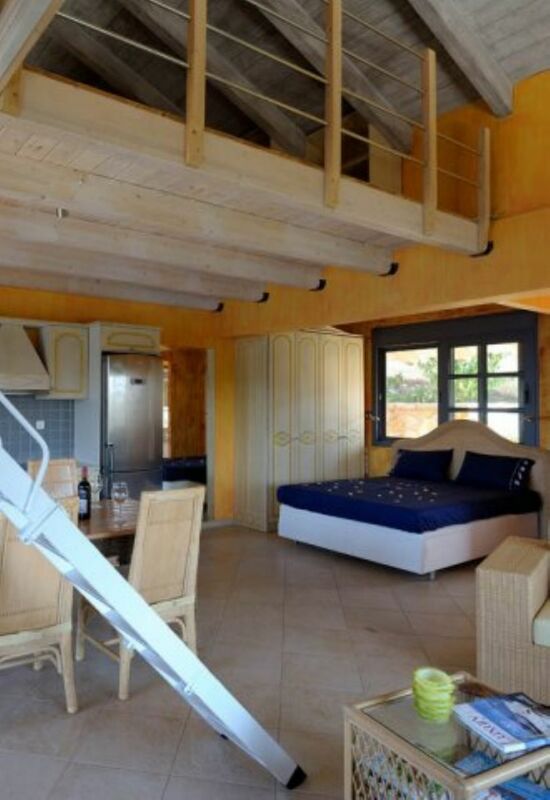 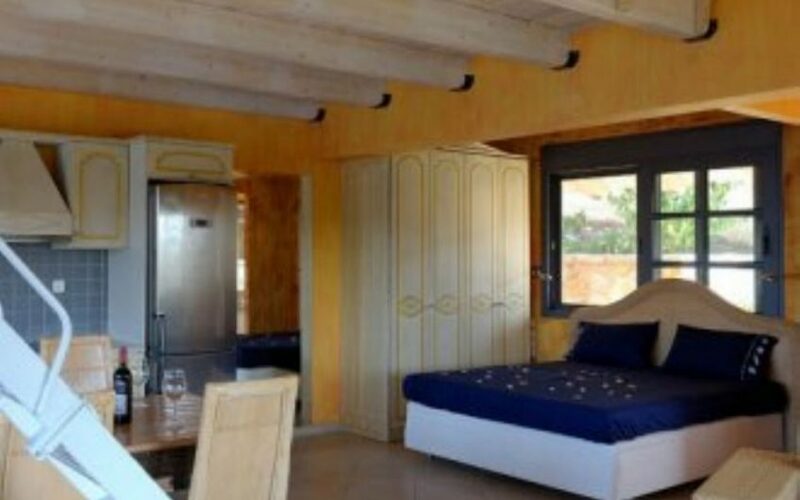 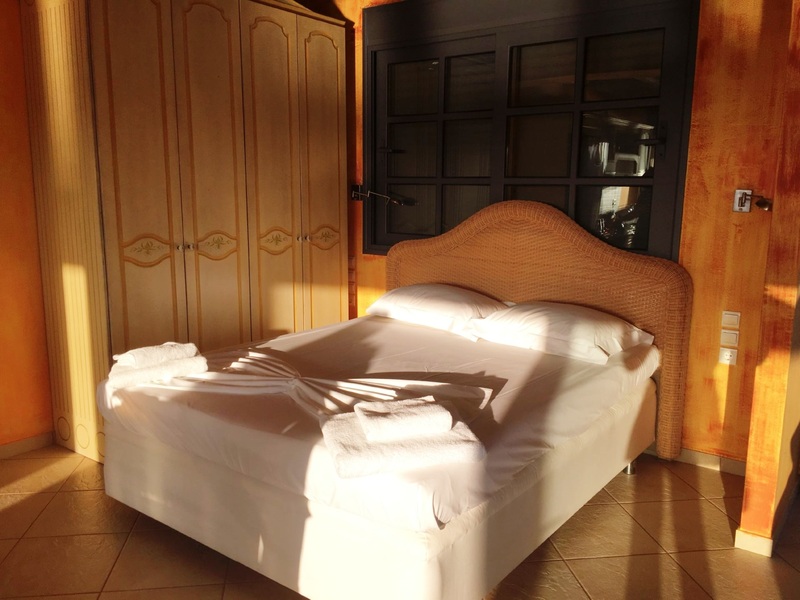 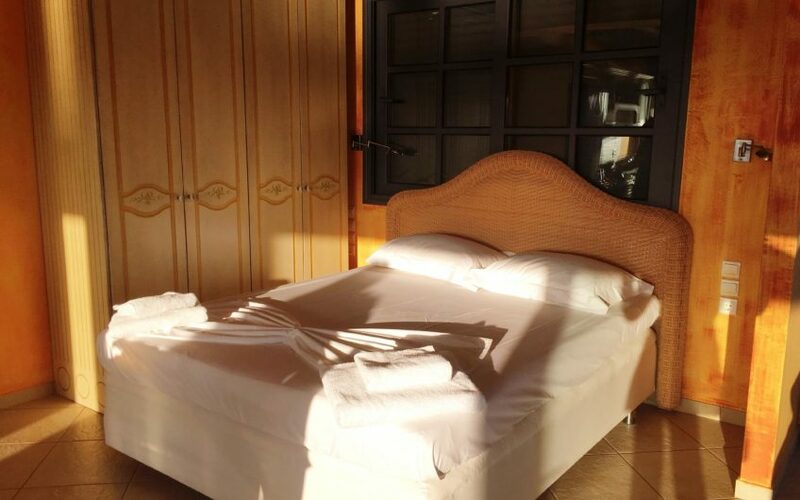 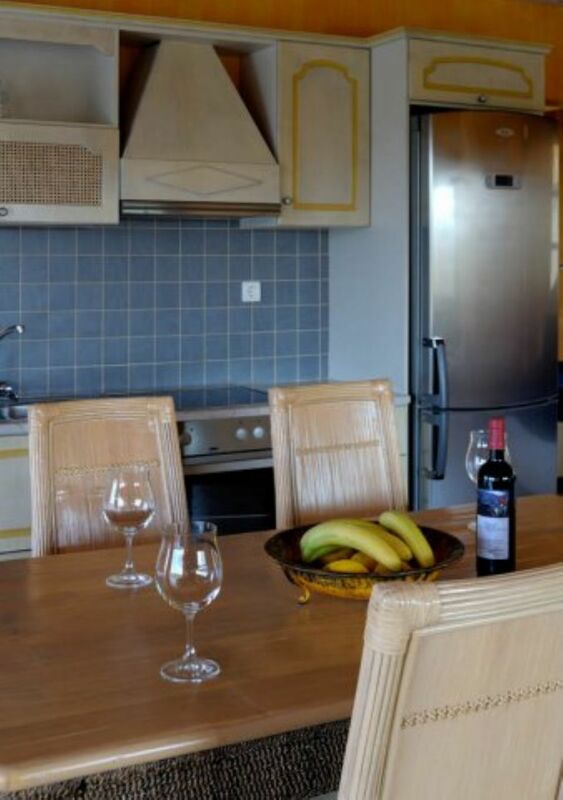 In total, it offers seven bedrooms (all with sea views) and four bathrooms, and is surrounded by natural vegetation. 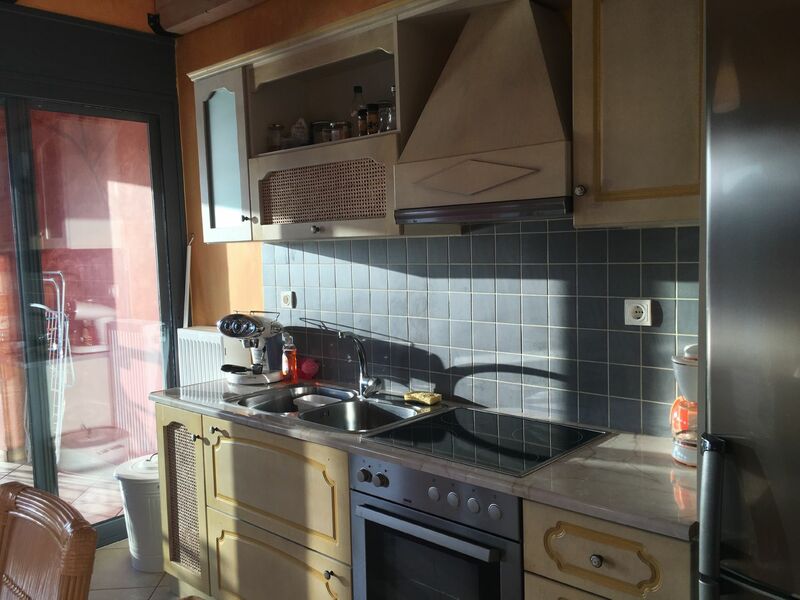 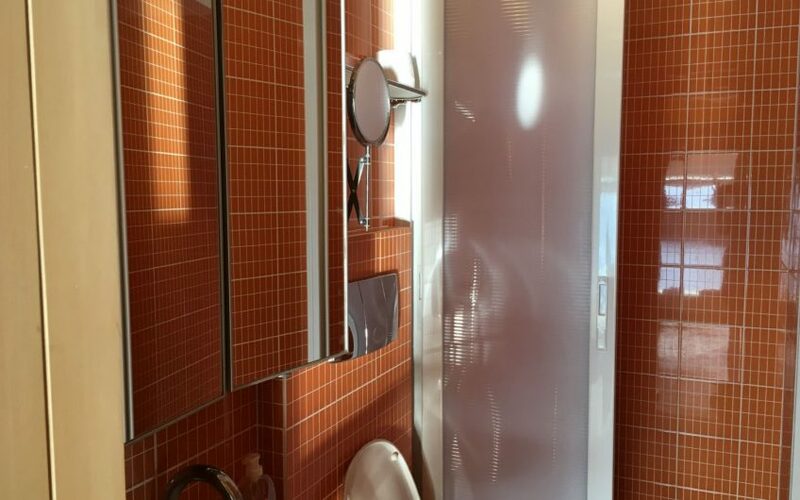 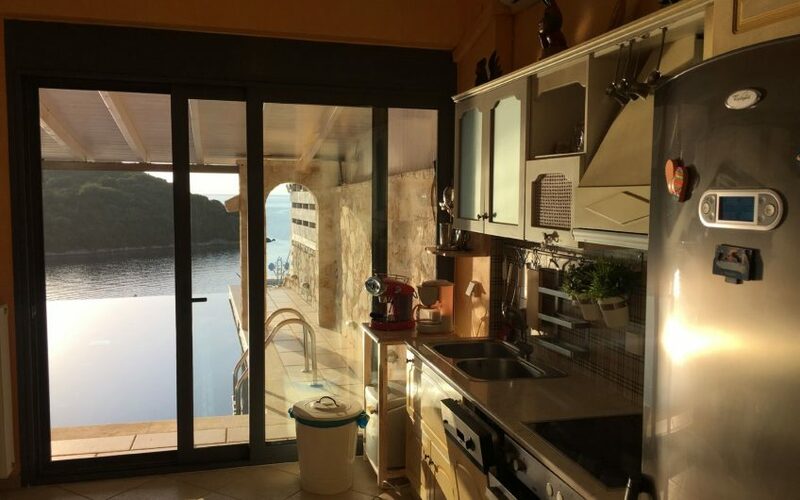 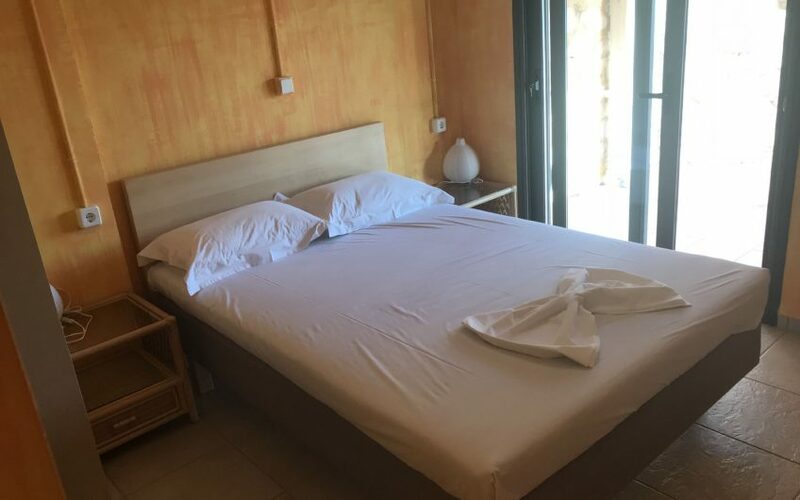 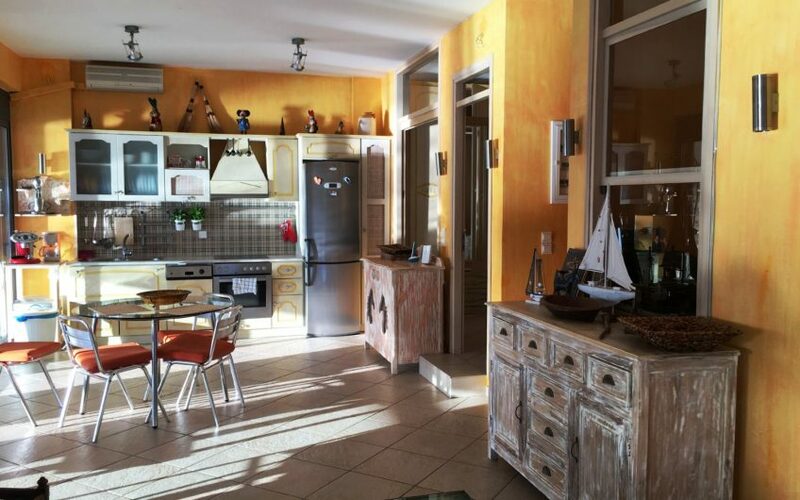 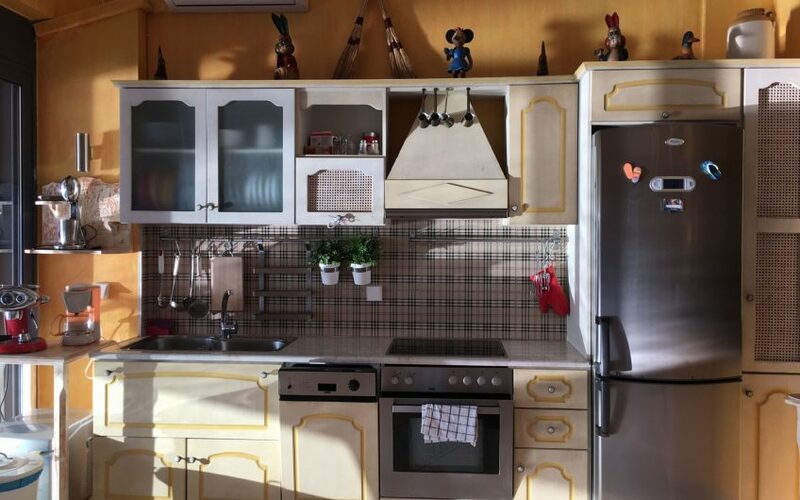 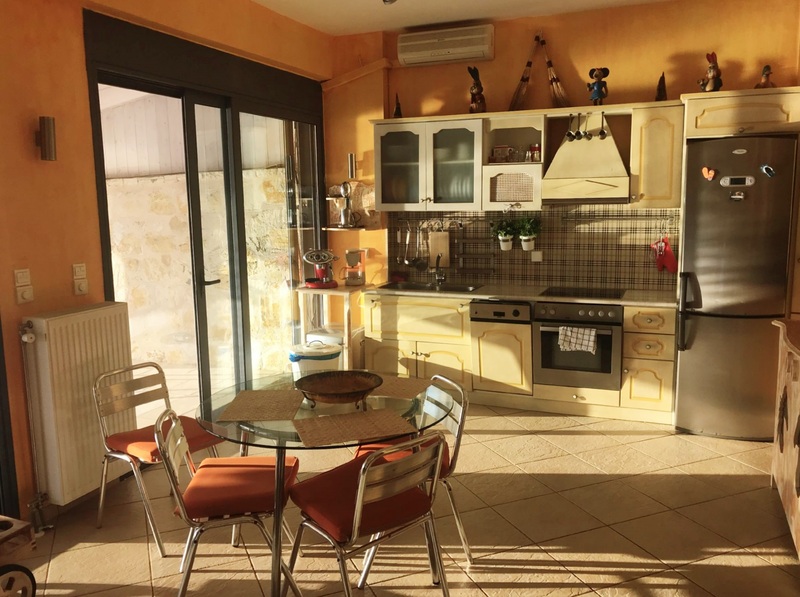 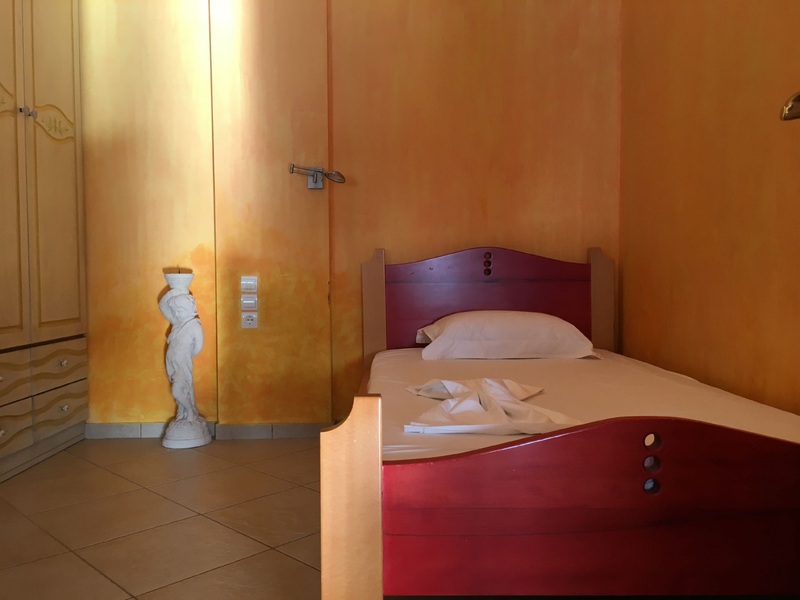 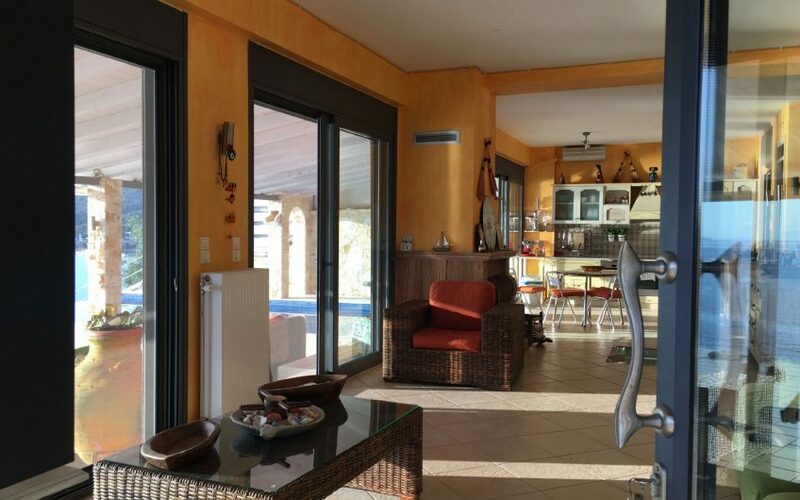 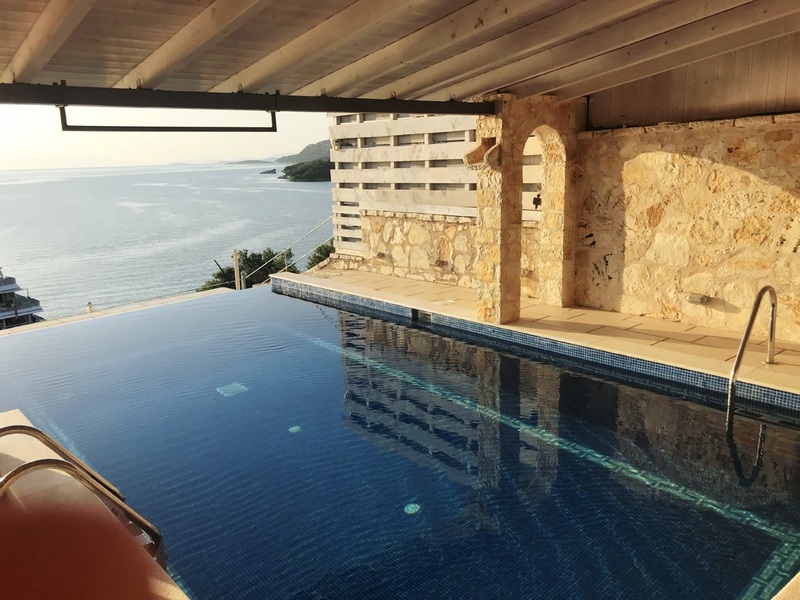 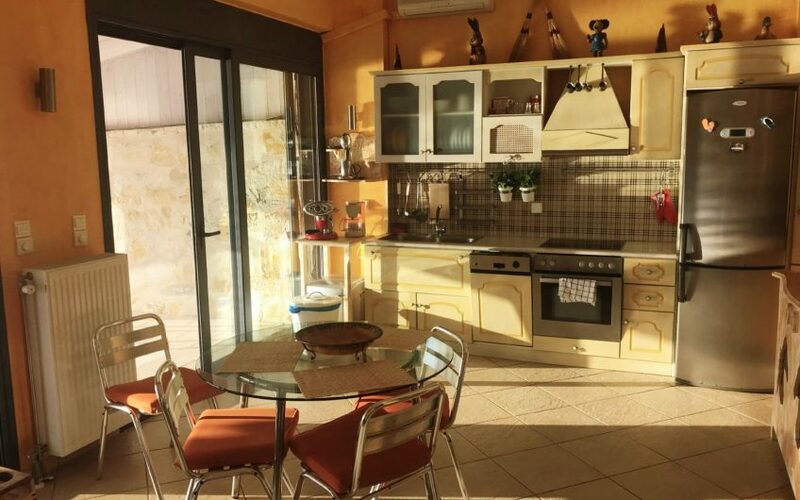 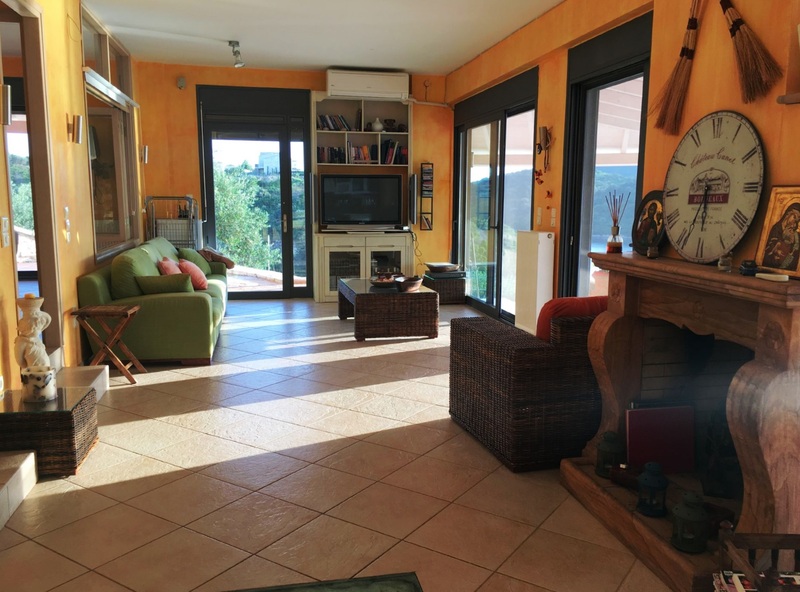 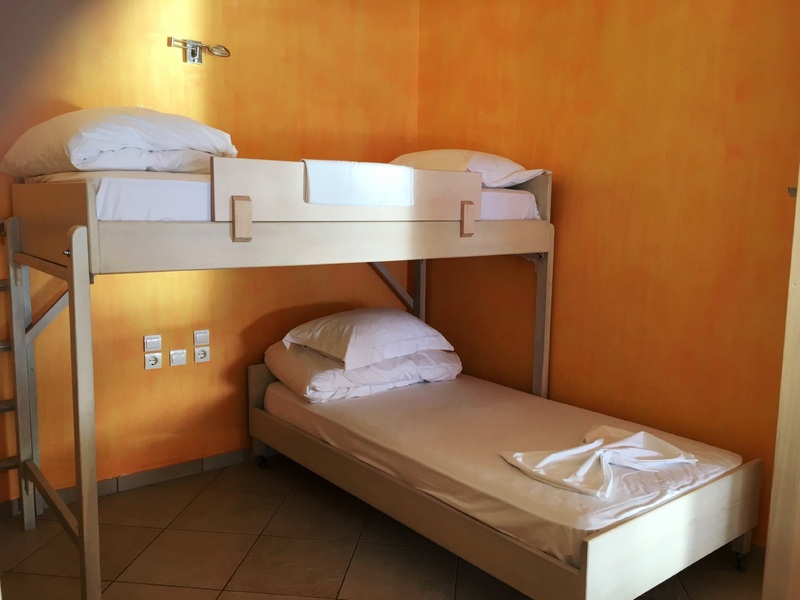 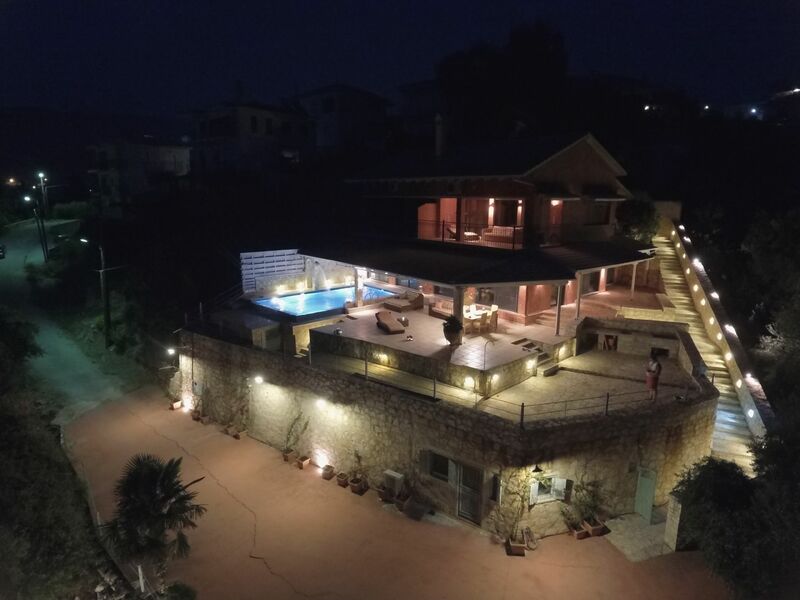 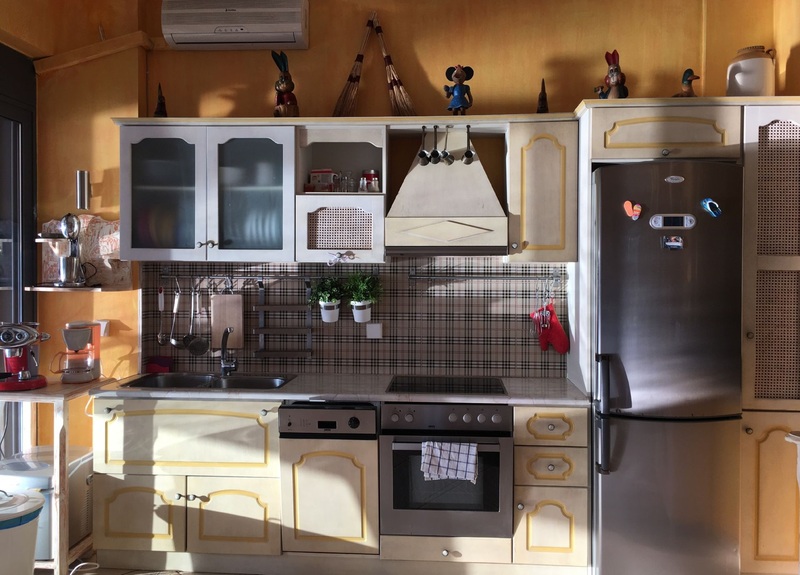 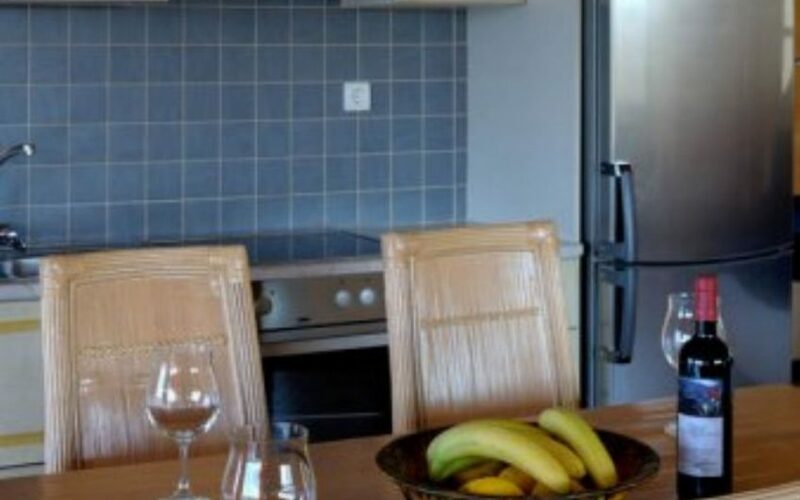 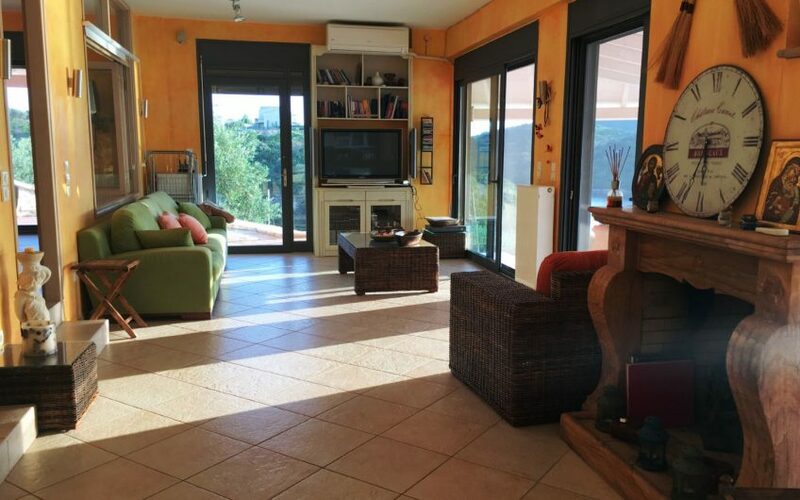 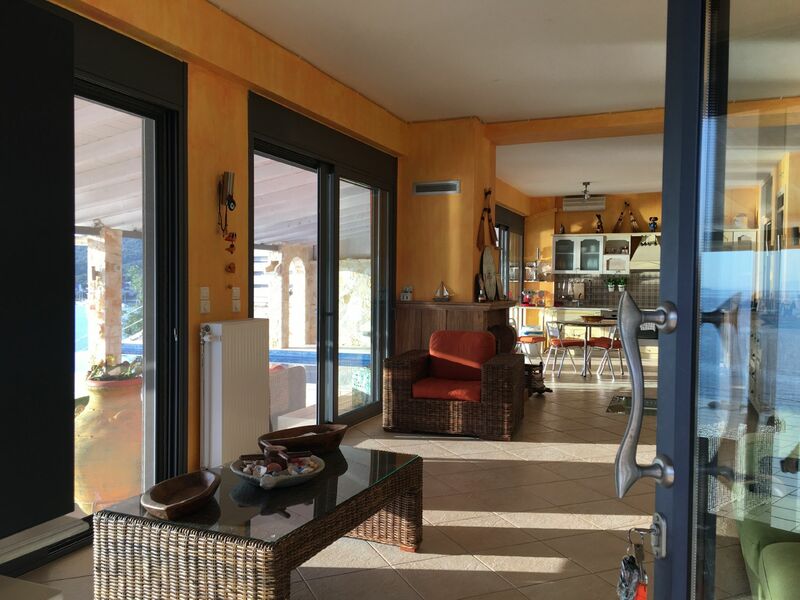 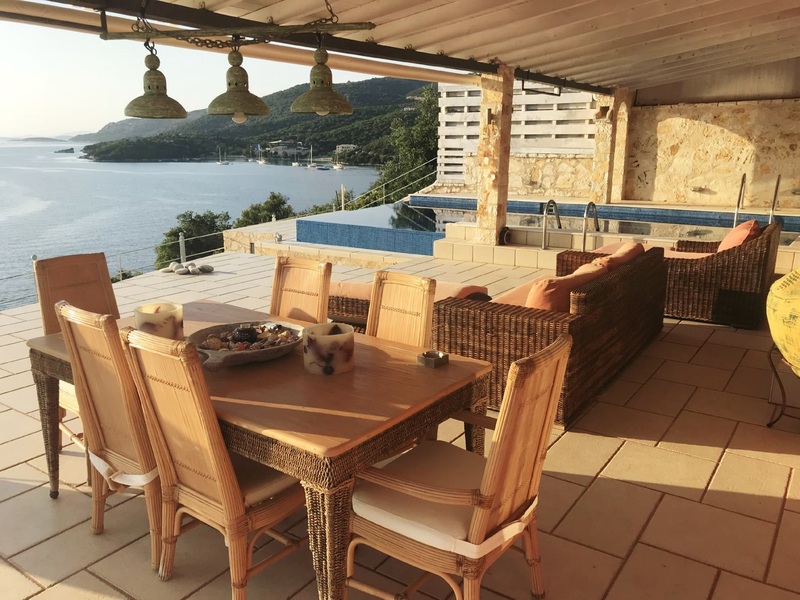 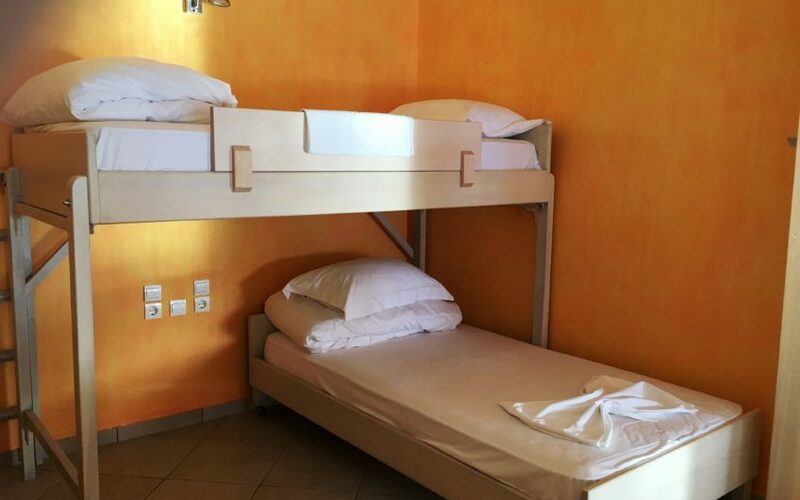 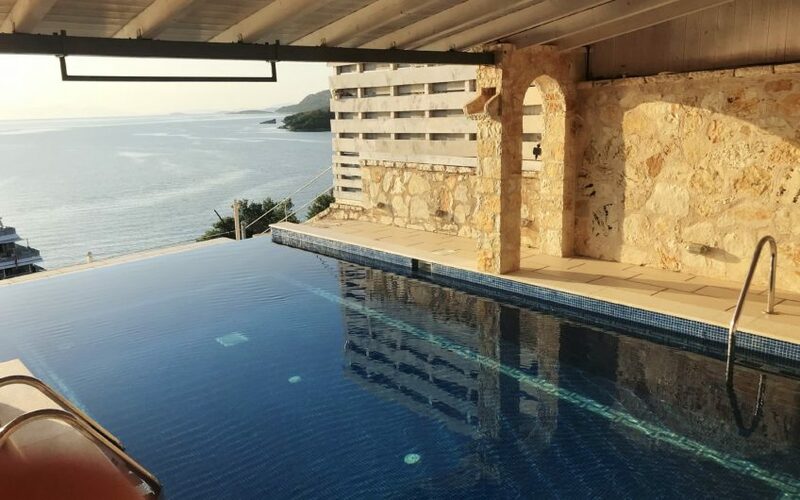 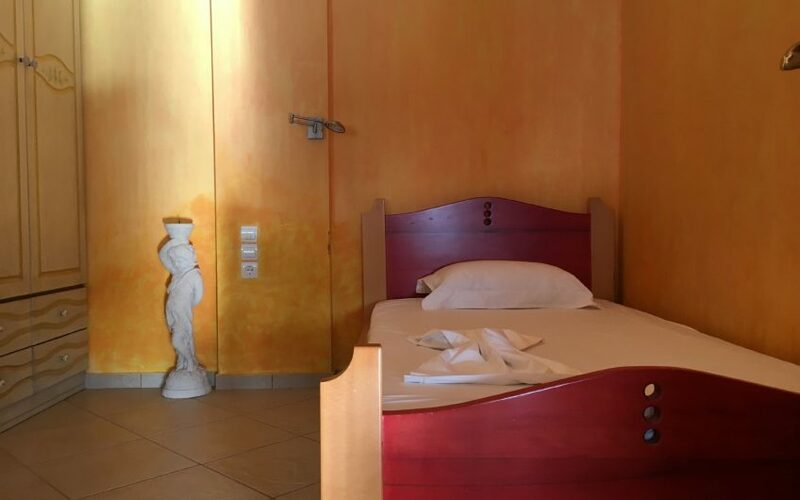 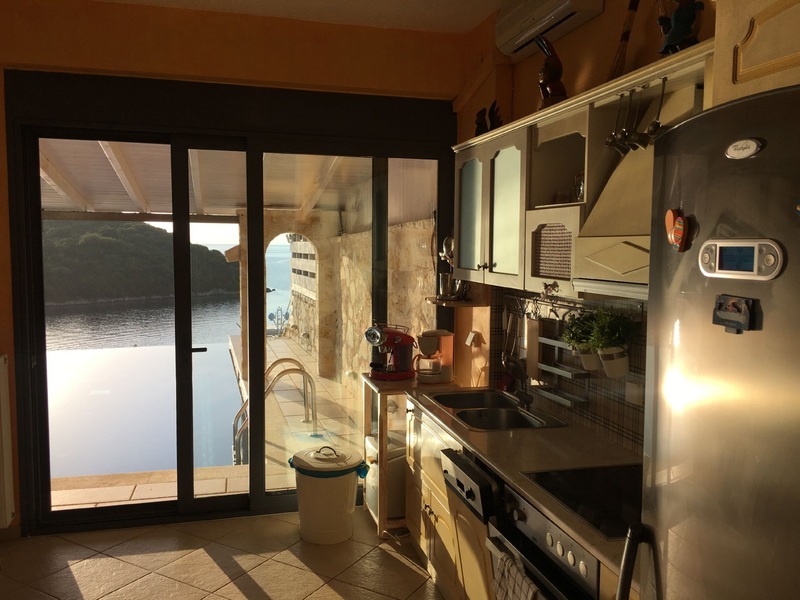 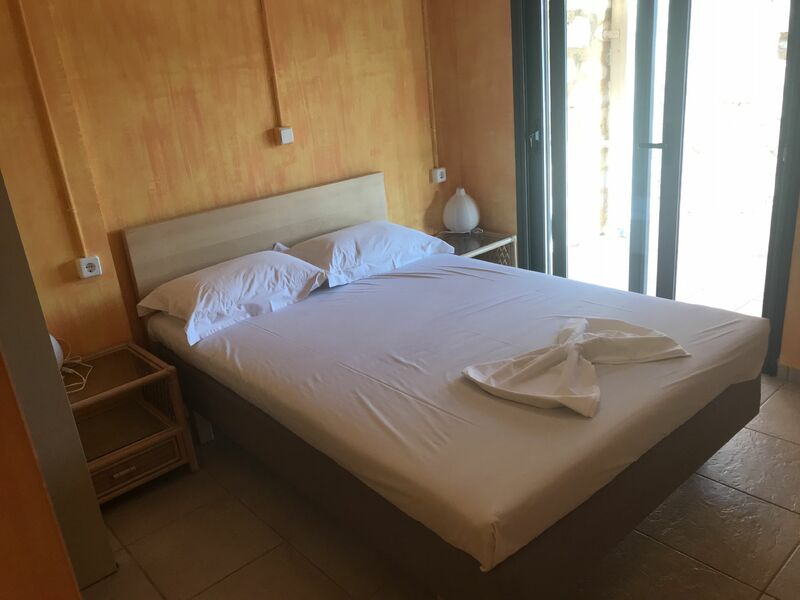 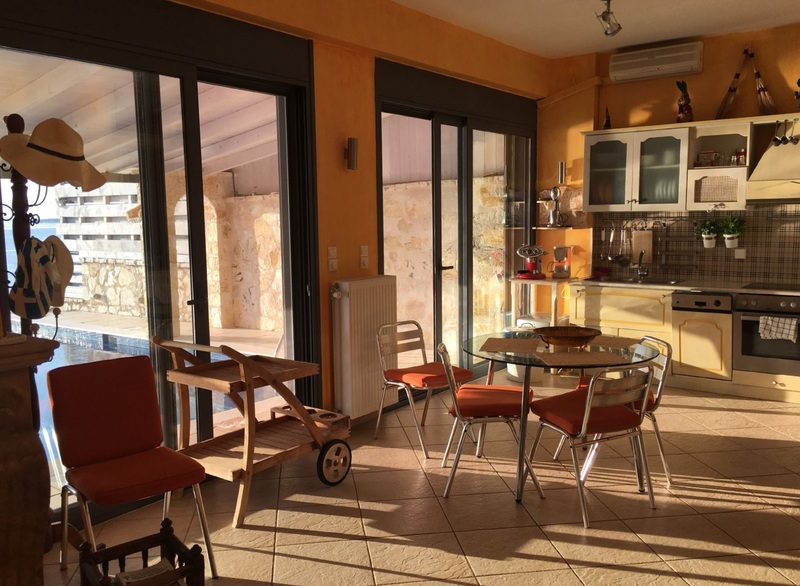 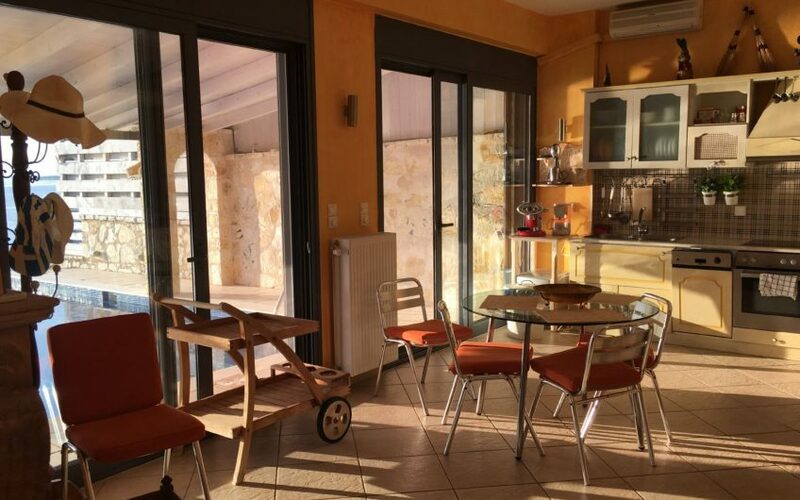 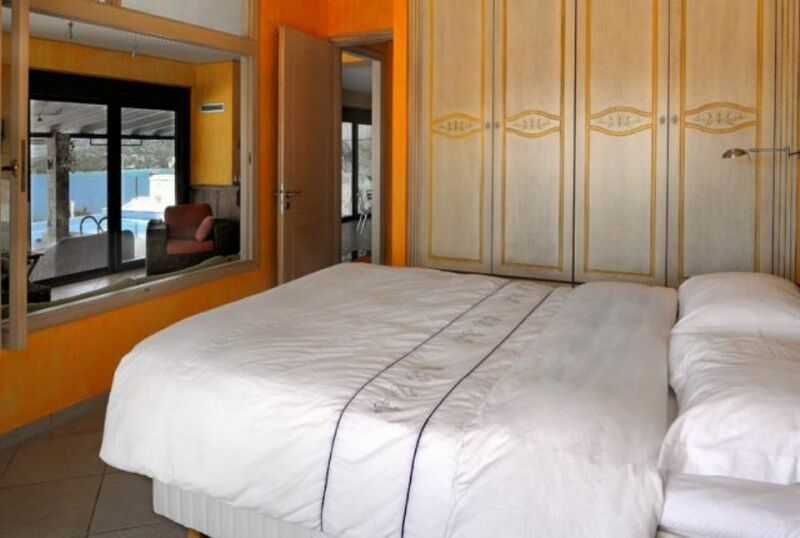 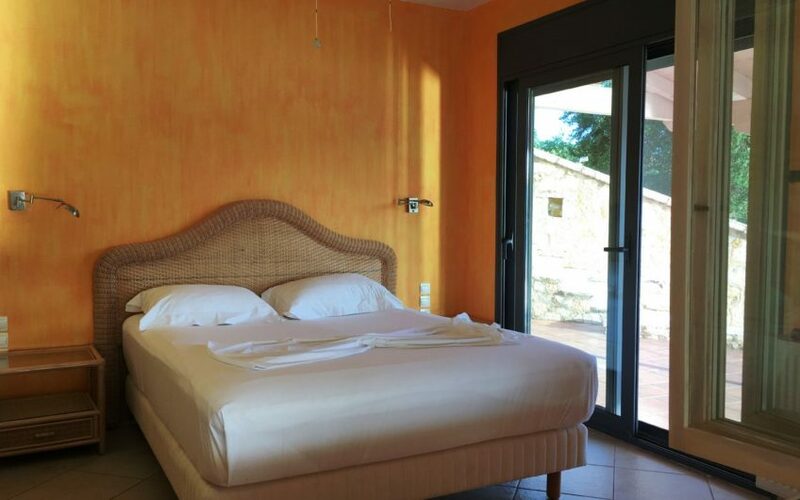 The property is fully furnished and equipped with a swimming pool, central heating, air conditioning, fireplace, closed garage and many other amenities. 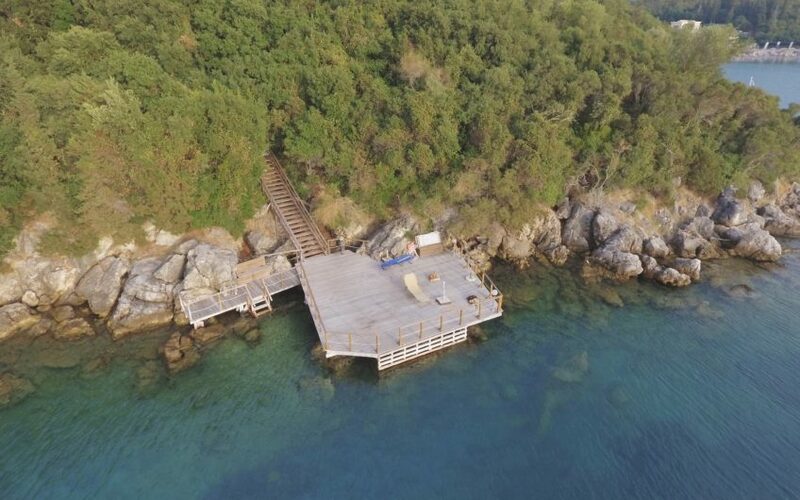 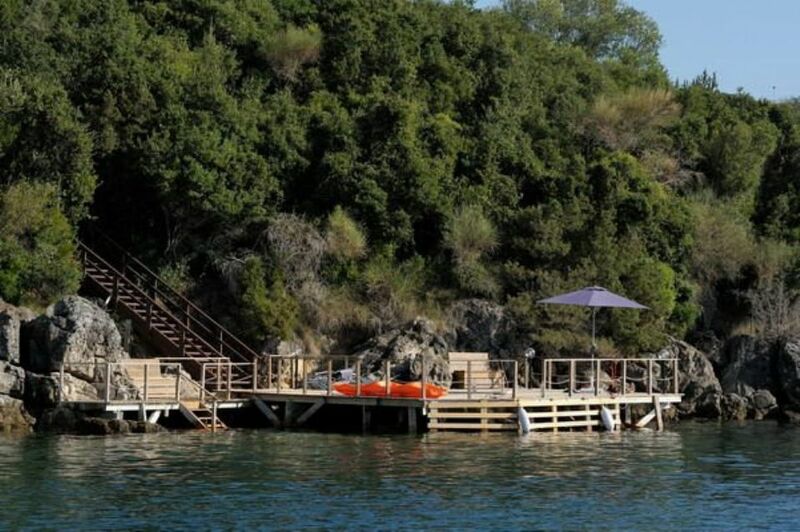 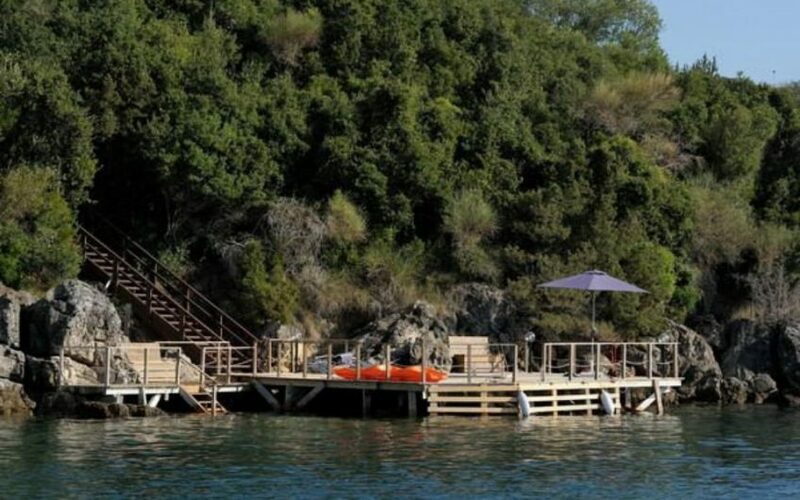 The distance to the sea is less than one hundred meters, while on the coastline there is also a private jetty (pontoon). 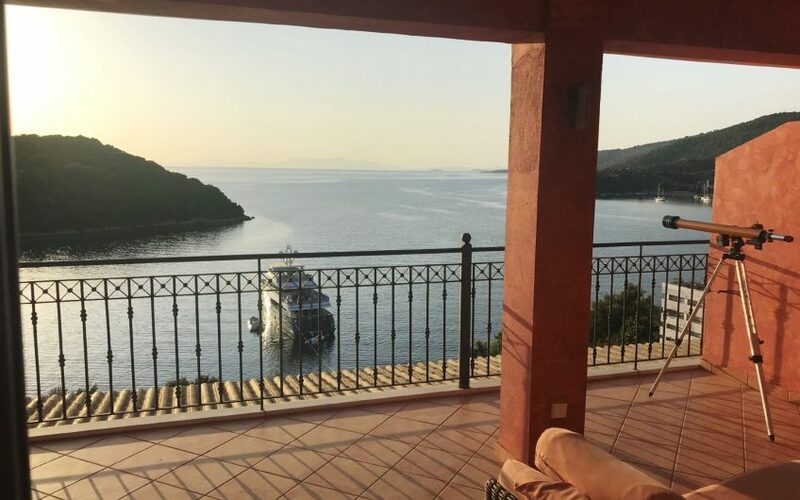 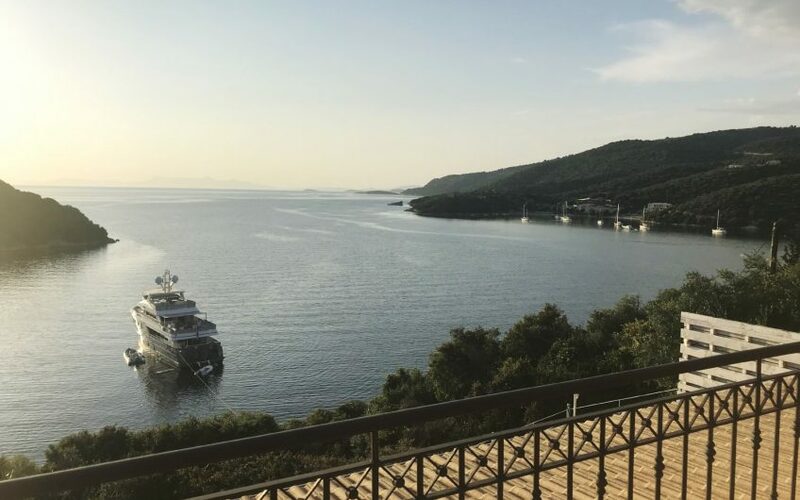 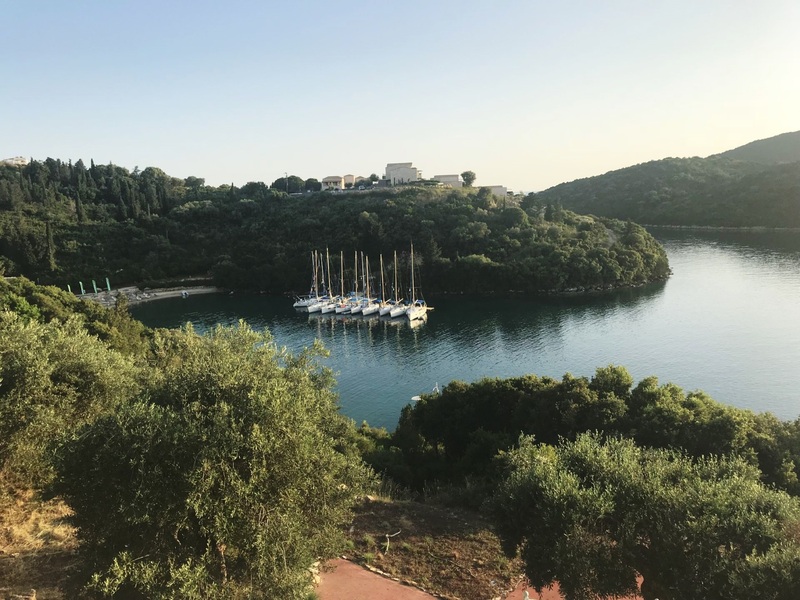 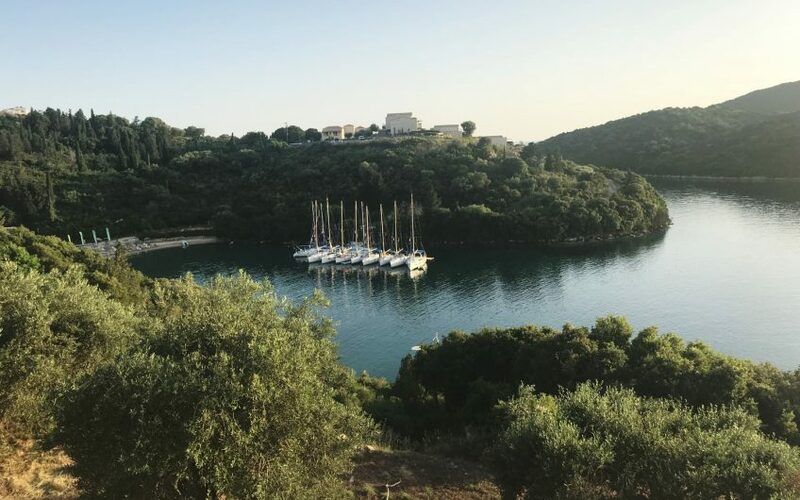 The natural beauty of the particular location is astounding and when the weather allows, the island of Corfu is also visible.